A book of art and questions started by elders at Salem Lutheran Home in Oakland, CA. We would love to have you contribute to our book...alter a page, answer some of our questions, tell us a little about you & where you live. We will be watching this book’s progress around the world and hope to have it come home to us all filled up! We will place it in our library when it is complete. When full please contact Erin 2littlewings @ Bookmooch. 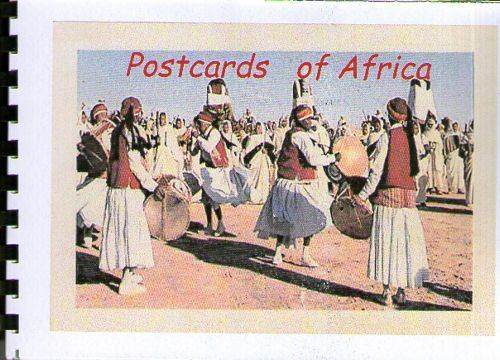 This is a journal of Postcards of Africa. They were amongst a box of some 60 years of postcards collected by members of my family. Please use the page facing the postcard to write, draw or comment on any of the postcards. There are plenty of blank spaces where you may insert a postcard of your own too. From time to time I will mooch it back. Slideshow now on the BM page for this journal: click the blue underlined link. Yes. You read the title correctly. 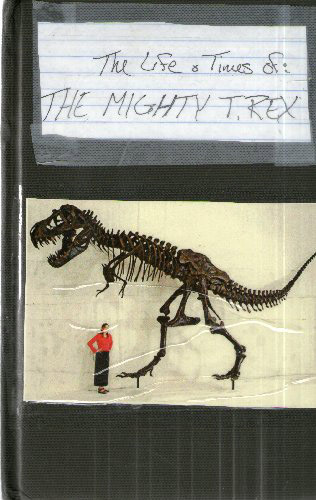 This journal is devoted to Tyrannosaurus rex. Just draw whatever you like(As long as it’s a)T. rex themed and b) safe for kids to see!) Have your kids draw some, too. Include a note on why you drew what you drew. What were you thinking at the time? Use as many pages as you like. Include the artist and the date, and then pass it on! Easy enough. Please don’t alter anyone else’s work. Once you receive it from someone, mark it as “recieved.” At the same time, please add the journal to your own inventory, so it’ll be visible to other Bookmoochers(Using the ISBN on the inside cover). This will speed up the flow. Please resend this book within two weeks upon receiving.